Hospitality was a hallmark of the ancient Mediterranean world and, according to St. Paul, is among the characteristics to be found in the Body of Christ, the church. True hospitality begins with the recognition of human dignity and the desire to respond effectively to human need. 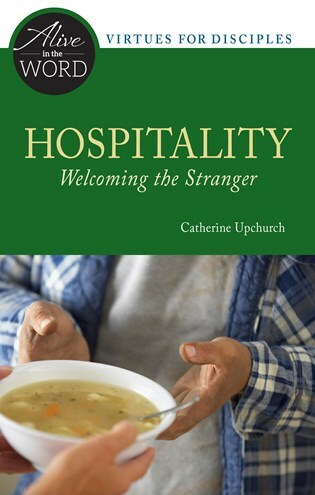 Here Catherine Upchurch, recognized nationally for her keen ability to make the Scriptures come alive for Catholics, explores how three biblical settings encourage us to be people of welcome. Catherine Upchurch serves as the director of Little Rock Scripture Study and the general editor of the Little Rock Catholic Study Bible. She brings years of adult faith formation experience to her writing and speaking. She is an associate editor of The Bible Today, a regular contributor to Give Us This Day, and the author of Mary, Favored by God and Moses, Called and Equipped.